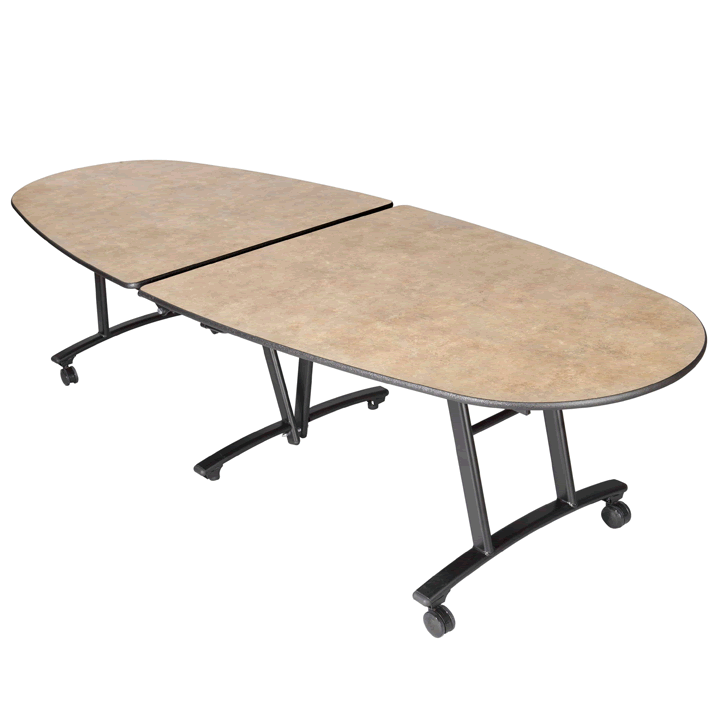 For multi-use versatility that can transform any room in your facility into an inviting meeting space, discover the SICO® Ellip-Table portable folding table. 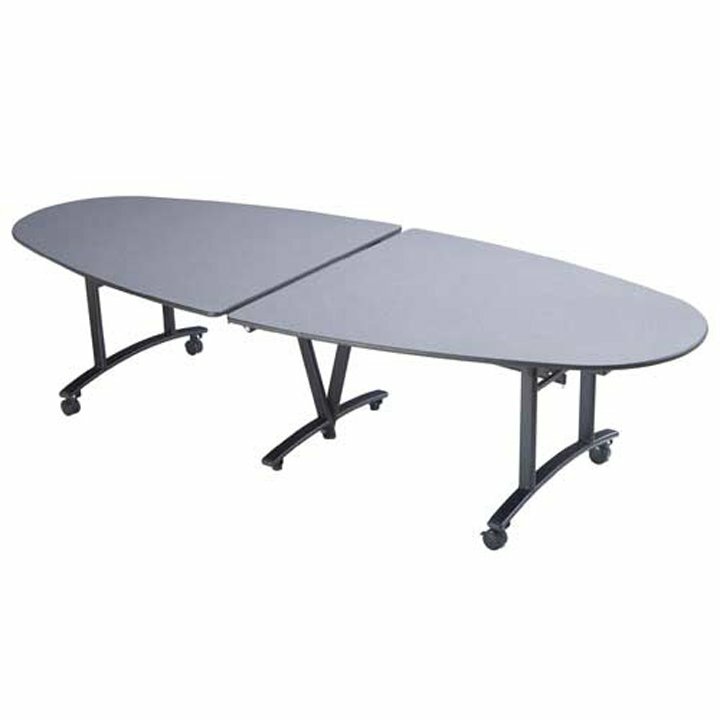 A progressive design and industry-leading versatility make it the ideal table for cafeterias, boardrooms, offices or school conference rooms. 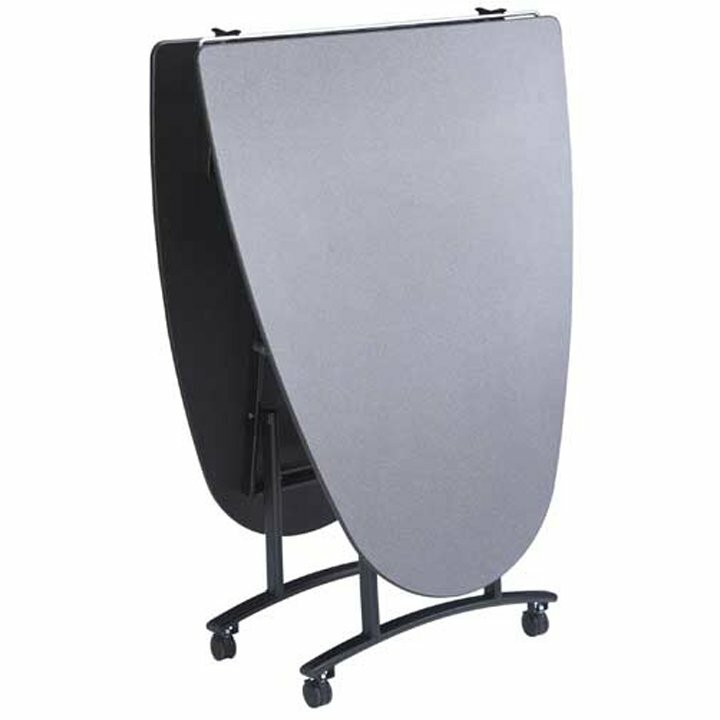 The Ellip-Table's distinctive, elliptical-shaped tabletop offers a classy look versus traditional rectangular shapes and promotes better communication through increased eye-to-eye guest contact and more close-in conversations, which also help to reduce noise levels. 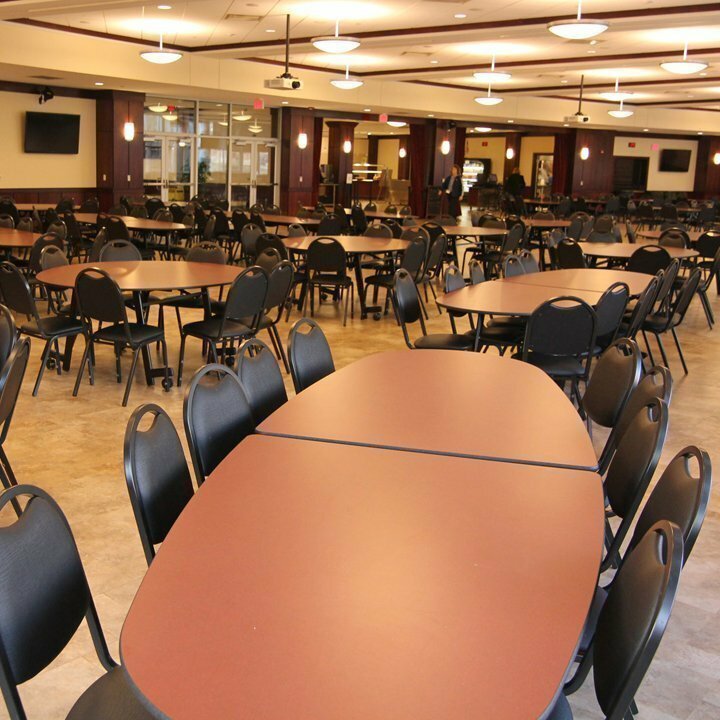 The Ellip-Table features an oval, tubular metal frame that provides a solid, stable base, with a powder-coated finish for a unique look that also stands up to heavy-duty use. Plus, since the Ellip-Table has no attached seats or benches, chairs sized for adults or children can easily be placed underneath as needed. Having less components makes this table lightweight and simple to clean underneath — plus it rolls on casters, needs no caddy and requires minimal storage space. One person can easily fold and transport this table into service or storage! You can easily find the rugged Ellip-Table top laminates that match your room's decor. Choose from multiple color and pattern options, bolstered by SICO® Armor-Edge® for seamless protection.